Paint Punk: Bike to Work Week! 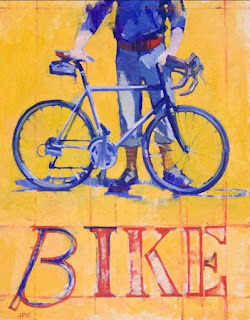 The 'Bike to Work Week' banner on the Wisconsin Bike Federation's home page features a painting of a bike I did last summer. I am currently in the middle of designing an image for this year's poster for 'Bike to Work Week'. I will document the evolution of this painting and post updates. In the mean time...ride your bike!